We are two friends who met, while studying at Karlsruhe Institute of Technology, and lived together in the same dorm. The first time Elias met Alex on a party. Since Alex was looking for a room and the events of the evening clearly revealed a plethora of mutual interests, Elias suggested that Alex move in on his floor where there was a free room. The respect and admiration, of two independent and free minds, was mutual. So the foundation of a strong friendship and an extraordinary journey was set, to accomplish something truly great. While both have broad knowledge, skills and abilities, Alex is more the analytical and technical problem-solver whereas Elias tends to be more creative and the economic visionary. We love freedom, democracy and liberty! We are interested in philosophy, politics and society! We are passionate about technology, economics and culture! All this fields of interests lead to one thing, polunio! Here we combine our strengths to create something really outstanding and valuable for the entire society. polunio is a project for a political community platform to radically redesign and revolutionize participation and desicion-making in a holistic approach. We want to push society forward, into a social, ecological and sustainable future, where everybody has the born human right to participate digital, simple and flexible, in political decision-making. We are eager to redefine and digitalize the culture and relationship of democracy. The economical, technical, legal, political and cultural transformations of our contemporary society, as well as their digital, decentral and disruptive impact and challenges fascinate us enormously. These transitions offer new possibilities for innovative, social and sustainable business models, products and services. The ongoing shifts of information and content from voice to data, programmer-controlled to user-controlled, provider-controlled to crowd-controlled, bundled to fragmented, central to decentral and desktop to mobile offer still many incredible possibilities to create novel solutions in an interactive and data-driven world. Politics, for us, is one of the next sectors that will be massive disrupted by technology and the web. This is not bad, because we believe that technology will improve the life of every individuals and the society as a whole. Technology grounded in science and research, offers solutions to our most complex and current problems. Since we are all born free and equal, every citizen should have the right and ability for easy digital access, integration and participation in political decision-making. We redesign political participation through a digital platform to enable interactive communication between citizens and political institutions as well as data-driven democracy. Interactive data-driven democracy will enable institutions and organizations to understand the public interest better and faster. This paradigm provides us with an environment of transparency, acceptance, inclusion and participation, where citizens are informed, interested and involved in the process of political decision-making. Let’s redesign political participation and shape the future together! To be informed and integrated in the public process of governance, an individual needs to study, analyze, model, research, discuss, criticize and argue to gain an in-depth understanding of current issues and problems. At some point, if no common consensus is reached, the issue has to be put to vote to reach consensus according to democratic principles. But since we are technologically so advanced (with internet and smartphone) that we can reach nearly everybody with a push-notification in real-time and no cost or effort, why not establish a platform to vote digitally in a convenient and secure way? A successful team beats with one heart! 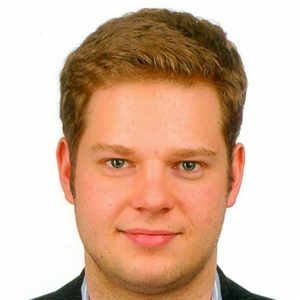 Elias studied Industrial Engineering at Albstadt-Sigmaringen University and Monterrey Institute of Technology and Higher Education as well as Economics Engineering at Karlsruhe Institute of Technology. He gained work experience as Student Trainee at Fraunhofer Institute of Systems- and Innovations Research, KIC InnoEnergy and Daimler. After that he worked as IT Consultant on various digital projects like Customer Data Management in Digital Marketing for Mercedes-Benz. Fluently in German, English, Spanish and some advanced French, he loves to explore new cultures, places and people. As a critical thinker, he allways needs to learn something new, challenge the status quo and given norms, to push boundaries beyond the imaginable. At polunio he is responsible for the Business Strategy, Marketing & Frontend-Development. After studying Political Science at the Free University of Berlin, Alex went to study Computer Science at Karlsruhe Institute of Technology. His main focus is Machine Learning and Cryptography. 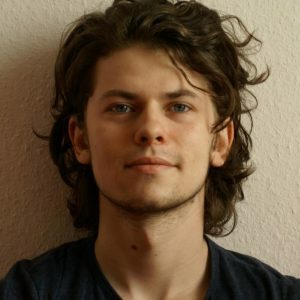 Furthermore, he was a working student at Fraunhofer Institute for Optronics, Systems Engineering and Image Evaluation as well as Objektkultur Software as a Web-Developer and IT Consultant. He is fluent in Romanian, German, English, French and also speaks some Russian. He thrives in engaging conversation and the unexplored. He is higly interested in politics, philosophy and is curious about any unsolved problem. An IT-Nerd? Definitely not! He is a versatile guy who loves arts as much as algorithms. At polunio he is responsible for the Technical Strategy, Product- and Backend-Development. An idea grows to a vision and becomes reality! Together we built our first technical functional prototype in Karlsruhe. An exciting journey continues, do you want to be a part of it? We are always looking for like-minded, passionate and high-skilled individuals to join our journey! Of course, it would be great if you are very tech-savvy, but whatever your background might be, the most important thing is that your heart is on the right place and that you believe in our vision and yourself. Tech-Rebels with Generation-Y-Syndrome, Marketers with Hands-on-Mentality and Visionaries who think without the box, write us!